Alun Lewis – a Welsh poet born in Cwmaman, near Aberdare in South Wales, was one of, if not the, preeminent poet of the Second World War. 2015 saw the centenary of his birth and a committee was formed to organise commemorative and celebratory events throughout the year. I was part of the committee and worked on the branding for the centenary which consisted of Alun Lewis’ signature along with an original portrait I drew. All the funding requested was not secured, however a large number of events such as an exhibition attended by the Queen during the Presentation of the Colours parade for the Royal Welsh at the Millennium Stadium in Cardiff, talks and exhibition at Aberdare library and talks and presentations at the Hay Festival, Hay on Wye. I also created a mural at the Lewis School in Pengham where Lewis once taught. 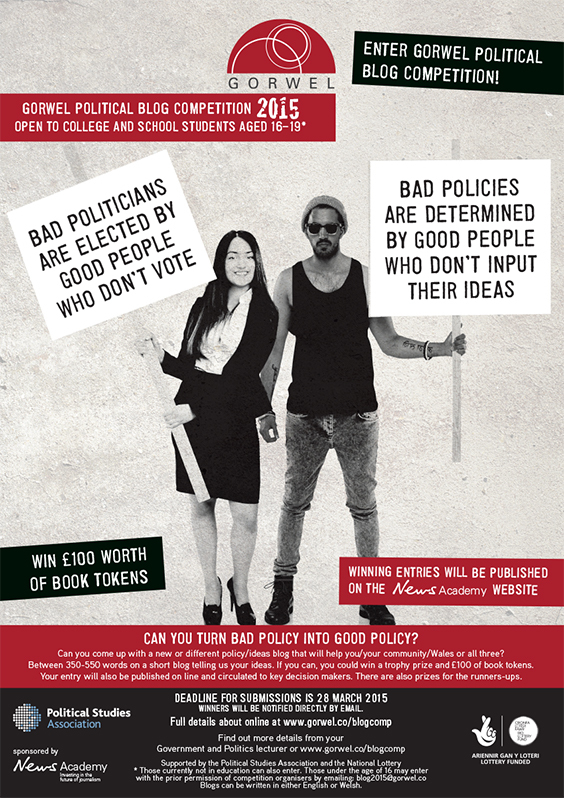 Another piece of Fluid Research marketing to promote the new brand – highly versatile and portable roll-up banner system. 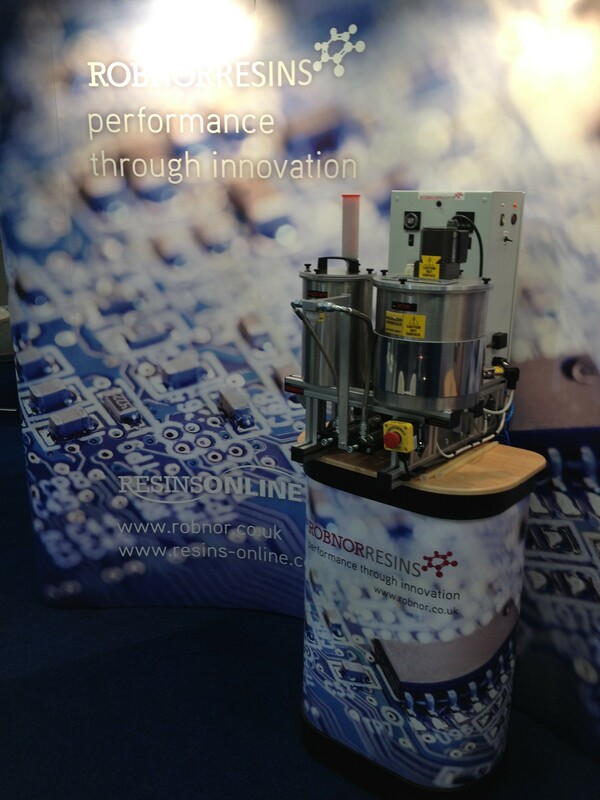 Fluid Research provides resin mixing solutions. For 40 years Fluid Research Ltd have been a leader in the design and manufacture of precision single component dispensing and multi- component metering, mixing and dispensing equipment for liquid and paste resin systems. Fluid Research is the new name for a company called Liquid Control. The new name coming about after the company was purchased by US company Ellsworth Adhesives. Fluid Research provides resin mixing solutions. For 40 years Fluid Research Ltd have been a leader in the design and manufacture of precision single component dispensing and multi- component metering, mixing and dispensing equipment for liquid and paste resin systems. 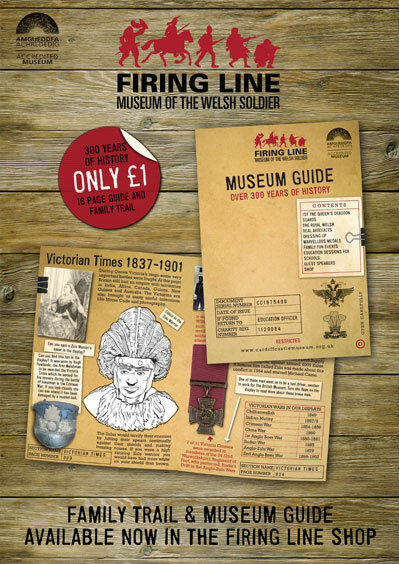 The Firing Line Museum of the Welsh Soldier, based in Cardiff Castle, needed both a museum guidebook and a family trail for the museum. The guide needed to provide basic information and assist people as they made their way around the museum. The family trail would help children find their way around the exhibitions whilst at the same time give them educational material such as colouring in and questions that related to the displays. Budget restrictions meant that producing two publications would not be possible so the museum guide / family trail attempted to answer both needs using copy and format that would appeal to all age groups as well as containing a number of items, such as the colouring in, to encourage participation from the younger audience. Added to this was the need to work towards a new brand / look for the museum who’s publications had become increasingly fragmented with regard to image and creative approach. The finished publication contains branding elements that will be transferred across all future work as well as illustrations, including character design, all produced by Petersens Design. Spec: 16pp A5 – self covered – uncoated 190gsm stock – 4 colour process throughout. Welsh medium version also produced. 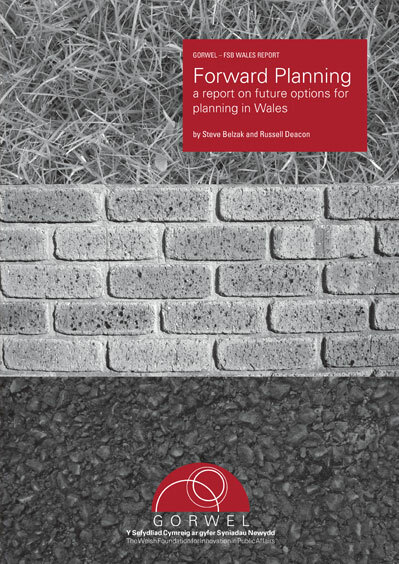 Gorwel and the Federation of Small Businesses Wales asked for a clean type based design for their report entitled ‘Forward Planning – a report for future options for planning in Wales’. A two colour design is used to highlight the Gorwel branding specifically as this was their first published report. Printed digitally, perfect bound. 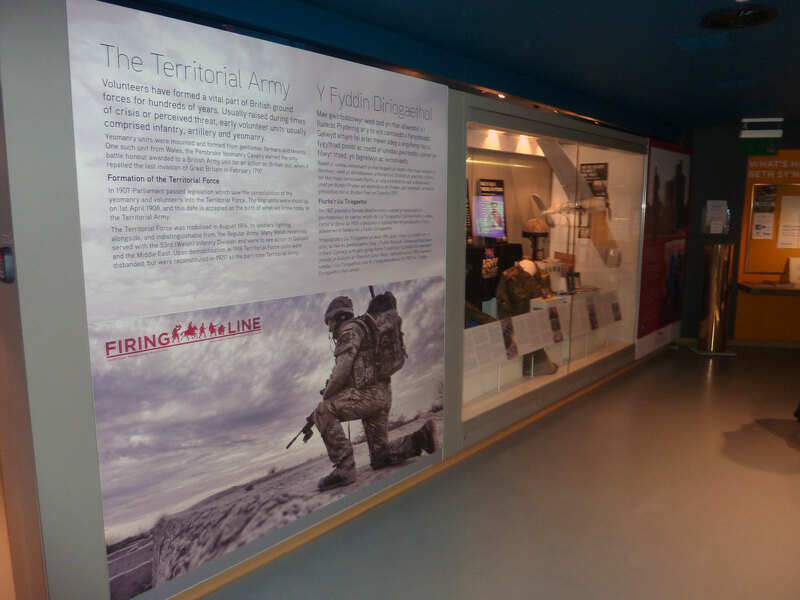 Design and print and production management for large format display panels to accompany a temporary exhibition at the Firing Line Museum of the Welsh Soldier in Cardiff Castle. The exhibition is about the Territorial Army and is currently running at the museum. 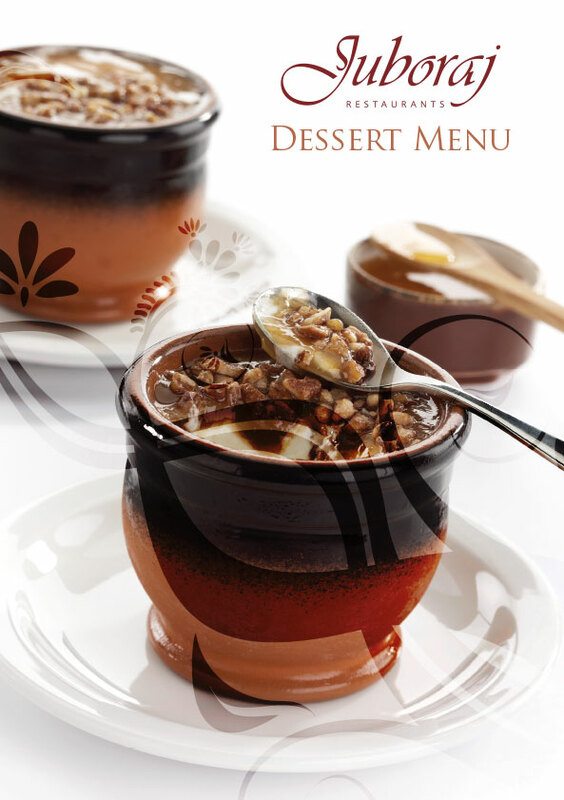 The most recent design for the Juboraj – Cardiff’s best loved Indian Restaurants – dessert menu. Using a heavy weight silk stock with a matt laminate coating and spot uv pattern to the front and back covers. 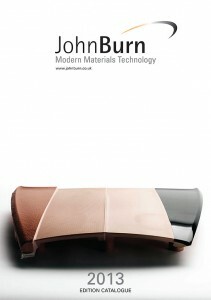 We produce a catalogue for John Burn a company that specialise in materials for the tooling & composite industry as well as the rapid prototyping market and foundry industry. John Burn is unique in that not only does it have one of the most comprehensive stocks of Epoxies and Polyurethane Resins, tooling and modelling boards but it also stocks a wide range of consumables and ancillaries to complement these products. Specs: A4 108pp plus 4pp cover full colour throughout perfect bound with a matt lamination applied. The catalogue is also supplied in a compressed PDF format with fully functional hyperlinked contents pages.